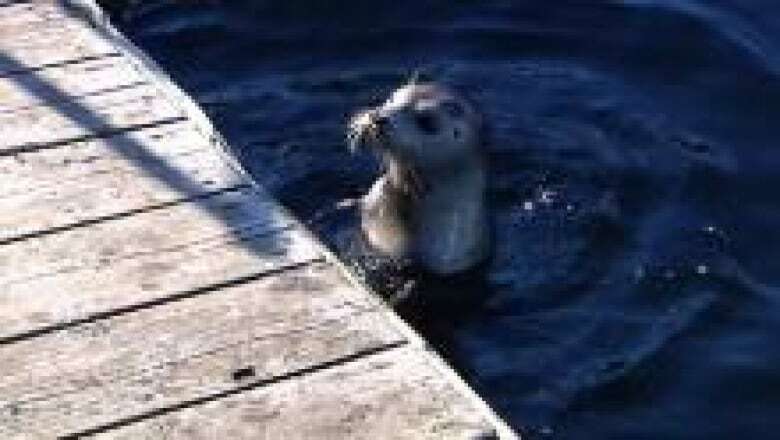 An unusual friendship is budding on the Halifax wharf between a fisherman from China and a seal pup named Mimi. Zhigang Long said he started fishing in the harbour after he saw other fishermen on the wharf. Through a translator, Long recalled the day a seal popped up while he was reeling in a mackerel. "He gave the seal some fish to eat then the seal and him got familiar with each other and they're friends. It's really rare to see a wild seal in the open ocean and he feels very excited to see the seal," said the translator. Long has even trained Mimi to come when it's called. When he drops a flopping fish on the wharf, Mimi flaps its flippers, struggling to heave its body out of the water and then hops onto a dock. Long said he'll miss Mimi when he heads back to China later this month.